Fundraising Secret #16: ALWAYS be interested in the donor as a PERSON not as a pocketbook. Relationships are always our most vital asset. Whether or not people give to us, they are intrinsically important. That's not to say we have to pour all our fundraising efforts in the same measure for donors and non-donors. By no means! But if your only interest in a person is what they can do for you...you're sunk before you even start. Have you ever been on the receiving end of such a request? Doesn't it make your skin crawl? Back in college, I was one of the students with a car. I still remember the "you've got a car and we want to go somewhere" look. One time in particular, two girls sought me out and asked, "Do you want to go to the movies?" Despite their big smiles and their sweet sounding voices, their eyes were clearly saying, "We could care less about you. We're just interested in a ride to the movies." At first, I felt the extrovert's high of loving to be with people. But that was almost instantly followed by the let down of "I'm just being used." Don't use your donors. Get engaged with them. It can be as simple as asking little questions about their family (if appropriate) or about their business. Just something to get to know the other person as a person. They know your job is to raise money. And they'll probably give. But do them the honor of treating them like people. I gave the girls a ride. But I certainly didn't stay for the movie. We want our donors to stay with us. To get more involved with our organization. This is especially important if we really are moving into an economic downturn. Donors that are engaged with us in a relationship will be more likely to stay with us through the tough times. They're more likely to become our donor evangelists. So please, be sure to always be interested in the donor as a person! Amen! 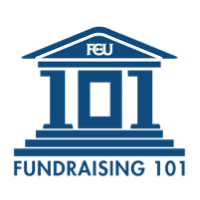 Fundraisers MUST care about donors as people, not ATM machines.